Hope you all had a fantastic summer of fun and adventure. It’s nearly September and for some, you are probably already back to school/college and many starting for the time. Very best of luck to everyone for the new term. We had a busy summer here and the weather on a whole was not that bad. We had a busy season in Killarney out at Ross Castle offering a great Kayaking experience on the beautiful Lakes of Killarney. It was nice to see the locals taking part in this as well with their families and for those visiting Kerry it was a great way to explore the Lakes for the first time and we do hope you come back for more next season. Summer Camps were as always great fun and we had a lot of familiar faces back to us and of course many new faces too. It was great to see all the groups mixing and many making new friends who we hope all stay in touch. Summer Camps are a brilliant way to meet new people and it’s a good sign when people want to book already for next year. We don’t have dates confirmed but don’t be afraid to contact the office and leave your details. 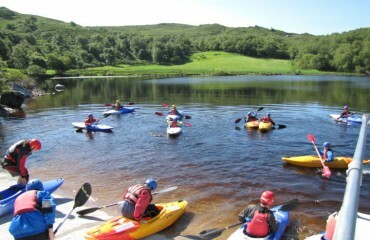 Sailing Courses took place down on Caragh Lake and that alone was a super start. New and experienced sailors took to the lake and for the kids it is a fantastic way to get confident on the water. We love running these courses for both young and old so keep an eye out for up and coming courses via our website or Facebook. Scout Groups were in steady flow over the summer months most on Standing Camps. We hope you all enjoyed your camp with us and that you had plenty adventure while you were here. Always great having Scouts back with us year after year. Kayaking Level 1 & 2 skills course took place just last week and even though the weather was not great we still had a good result for those who participated. Again any courses will be advertised on Facebook and on our Website. 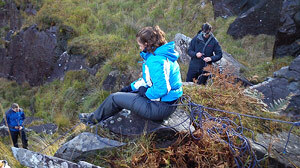 Of if you have a group that would like to organise a course let us know. And while we are talking Website……watch that space! We hope to have our brand new website up and running in the next few weeks. We are very excited about this and we hope you will see the benefits of it. We do of course appreciate all feedback or comments. 1st September sees the start of our School/Colleges programmes so we will be in full swing up till the Christmas holidays. Keep watching our Facebook, Twitter and Website for updates and news. The Adventure Travel World Summit hits Killarney on the 6th – 9th October and Cappanalea OETC are delighted to be part of this Summit. We will be hosting some of the Tours/Activities for the delegates visiting the Summit from overseas. Great for us here in Kerry, Killarney and all Businesses involved. And finally a big “Thank You” for all the likes, shares, comments and tweets during the summer and for supporting Cappanalea OETC (Outdoor Education & Training Centre).